The Chinese Conference on Computational Mechanics in conjunction with International Symposium on Computational Mechanics’ 2016 (CCCM-ISCM 2016) will be held in the First World Hotel, Hangzhou, China, in October 16-20, 2016. Multiscale modeling and simulations: in engineering, mathematics, physics, chemistry, bioinformatics, computational biology, meteorology and computer science, multiscale modeling or multiscale mathematics is the field of solving problems which have important features at multiple scales of time and/or space. Important problems include multiscale modeling of fluids, solids, polymers, proteins, nucleic acids as well as various physical and chemical phenomena (like adsorption, chemical reactions, diffusion). My current interests are mathematics analysis and numerical method for multiscale modeling and simulations. Numerical method for multi-physical field: the world we live in is a multiphysics coupled world. Multi-physical field coupling effect exists almost every where. In order to consider the coupling effect, multi-physical field coupling models are established and solved. My current interests are numerical method for multi-physical fields including force field, thermal field, fluid field and so on. Parallel computing: parallel computing is a type of computation in which many calculations or the execution of processes are carried out simultaneously. Parallelism has long been employed in high-performance computing, but it's gaining broader interest due to the physical constraints preventing frequency scaling. As power consumption (and consequently heat generation) by computers has become a concern in recent years, parallel computing has become the dominant paradigm in computer architecture, mainly in the form of multi-core processors. My current interests are parallel algorithm for the large scale linear/nonlinear systems arising from scientific computing. Apr. 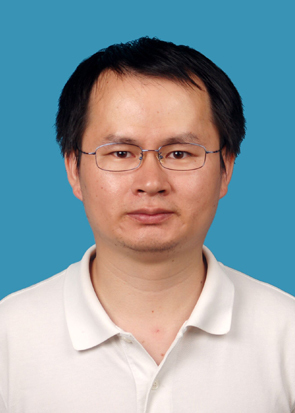 2019 – Now, Associate professor, Institute of Computational Mathematics and Scientific/Engineering Computing, Academy of Mathematics and Systems Sciences, Chinese Academy of Sciences, Beijing, China. Jul. 2014 – Mar. 2019, Assistant professor, Institute of Computational Mathematics and Scientific/Engineering Computing, Academy of Mathematics and Systems Sciences, Chinese Academy of Sciences, Beijing, China. Jul. 2012 – Jun. 2014, Postdoc research fellow, Institute of Software, Chinese Academy of Sciences, Beijing, China. Jan. 2019 – Dec. 2022, The study of lattice Boltzmann models and parallel algorithms for multiphase flows problem, NSFC, No.11871069 (PI, RMB 570,000, 面上基金). Jan. 2015 – Dec. 2018, Multiscale modeling and parallel algorithm for lattice Boltzmann equations, NSFC, No.11501554 (PI, RMB 190,000, 青年基金). Page generated 2019-04-14 14:43:31 CST, by jemdoc.